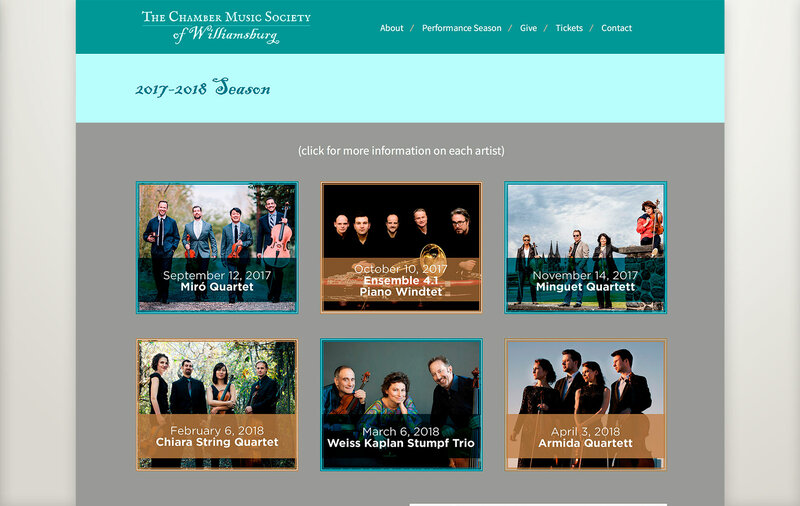 The Feldman Chamber Music Society, a wonderful non-profit that brings world-class chamber music to Williamsburg, VA, asked for our help in redesigning their website. Their previous site was dated and very hard to make edits. 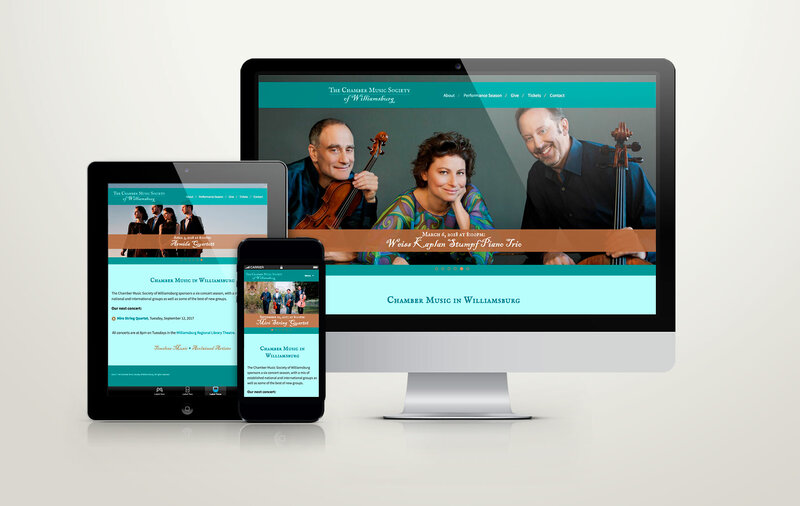 Since they work closely with the Feldman Chamber Music Society, they agreed that it made sense to utilize the custom slider we created for them for their site. The new site is fully-responsive for mobile and tablets. We also helped them update their logo to go with the new site design. The site and logo have a historic influence that ties in nicely with the town’s historic legacy.